911 is here to help. We answer thousands of emergency calls for assistance each year. We also provide numerous public safety programs to the citizens of Putnam County. Putnam County uses the Rave Alert suite of products. By clicking the link above, you will be able to create a Smart 911 profile, providing 911 dispatchers in Putnam County with valuable information. After completing your Smart 911 profile, the system will ask if you wish to receive alerts from Putnam County 911, making it easy for you to use one login/profile for both Smart 911 and emergency alerts. 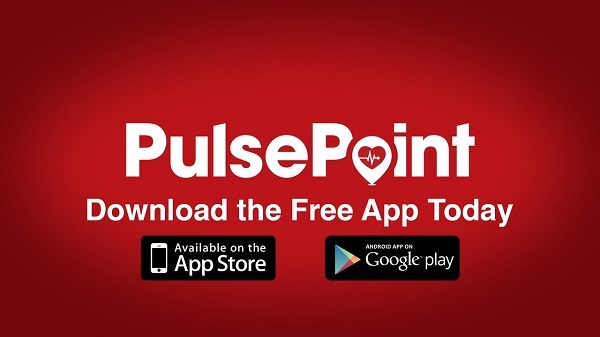 GET TRAINED, DOWNLOAD THE APP, SAVE A LIFE, WITH PULSEPOINT! PulsePoint is a smartphone app that allows users to view and receive alerts on emergency calls being responded to by emergency services. Putnam County does not publish medical or law enforcement calls that originate, or involve, a private residence. The namesake of the app points to its main feature. PulsePoint sends push alerts, to citizens trained in CPR and the use of an AED, if they are within the immediate area of a potential cardiac arrest in a public location (stores, restaurants, bars, or higher education campuses. The goal is to allow citizens to help citizens, providing necessary life-saving care, when appropriate, until advanced help arrives. There is no obligation to respond if an alert is received, and there is no liability for not responding if you receive an alert. In fact, the app does not ask any personal information, so there is no way for administrators to know who the user is. 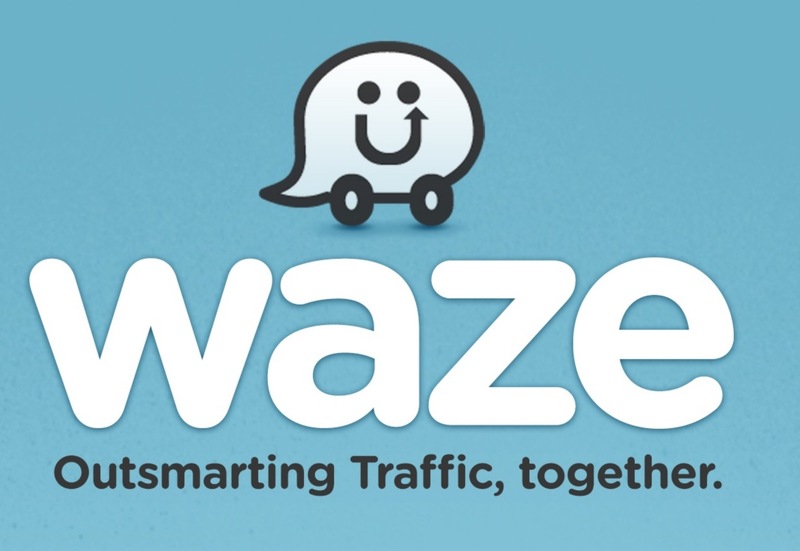 TRAVEL SMARTER AND SAFER WITH WAZE! Waze is a community-based GPS navigation app. Get driving directions, live traffic reports, and alerts about car accidents, road conditions, hazards and more. Putnam County has a “Next Generation" 911 system (NG911), supported by Combix, Inc. The system has many special features that make it stand out against other systems. Installed in September of 2009, and upgraded in 2012 and again in 2017, the system handles over 100,000 emergencies and non-emergencies per year. Putnam County, along with the other counties of the Upper Cumberland region, are unique in that they have “stand-alone" databases. This means the telephone database is stored at the 911 center. The telephone companies serving Putnam County update the database on a daily basis. Most other areas of the state retrieve 911 information across data circuits from a master database located in other areas of the state. Unlike Putnam, if those data circuits fail, no 911 information such as the street address is available. With the “stand alone” database, there are no circuits involved so the access to data is on-site. Touch screens allow the telecommunicator (911 operator) to answer calls without the use of a mouse or keyboard, making the process easier and more time efficient. 911 caller information is provided to the telecommunicator immediately. This includes the telephone number, name, street address, and which EMS, Fire, and Police agency covers the caller’s location. One of the special features of the system is called "Premise Notes" which allows the telecommunicator to advise emergency responders of any medical history or special instructions involving that location. This allows paramedics and EMTs to be prepared for medical problems before they arrive or firefighters to be aware of special situations that may require search-and-rescue in case of a fire. Residents may notify us of any of special situations and a "Premise Note" will be added to the person's phone record. You may do this by calling us at 931-646-4357. In 2016, a computer-aided dispatch (CAD) system was purchased by the 911 District, not only for the 911 Center, but also the secondary PSAPs (Public Safety Answering Points) operated by the Cookeville Police Department and Putnam County Sheriff's Department. 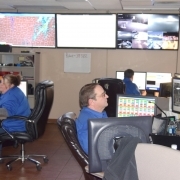 Previously, each dispatch center operated its own individual CAD. The new system, provided by SunGard Public Sector, allows telecommunicators at each PSAP to quickly share vital information and work more efficiently. Putnam County 911 maintains a digital two-way radio network used by public safety personnel throughout the county. This network consists of radio repeater stations located in several areas linked together through IP technology; as well as mobile and hand-held radios used by individual responders. Another main feature of our system is GIS Mapping, which allows for automatic location of our callers whether wired or wireless. When a call is answered, a map screen automatically shows the location of the caller along with color aerial imagery that allows telecommunicators and responders to see the scene to which they are responding. The telecommunicator can zoom in, zoom out, or pan around to find the best route to the scene for responding units. The map screen can also be transmitted to the latop in the responder's vehicle so the crew can have the information as it responds. TTY/TDD (Telecommunication Device for the Deaf) callers require special attention, as they cannot hear and/or speak. Our system has software that allows the telecommunicator to converse with the caller much like typing on a computer. All 911 centers in the nation are required to have TTY capability to communicate with callers who may not be able to speak or hear. The caller also has a TTY machine that allows this communication to happen. Putnam County 911 uses Language Line Services, which provides 24x7 foreign language interpretation. This allows us to communicate with a caller, regardless of the language spoken. The 911 center dispatches for EMS, Fire, and Rescue. Callers requiring Law Enforcement assistance are conferanced to either the Cookeville Police, Putnam Sheriff, Tennessee Highway Patrol, or Tennessee Tech Police dispatch centers. This transfers not only the voice part of the call, but the 911 call information also. This allows the police dispatcher to have the same information as the 911 telecommunicator. Putnam County 911, in cooperation with the County's other public safety agencies, has created an Emergency Notification Network called "E-Alert." The system is unique in that it not only allows the notification of emergency personnel, but also the citizens of Putnam County in the case of a disaster, threatening weather, missing children, or other emergency situations. The network allows several different notifications to happen nearly simultaneously. We realize that every second counts in an emergency, and have created a system to get alerts out to citizens as fast as possible. Read below for a breakdown of all aspects of our unique system. Emergency Personnel - The system provides for all personnel to be notified automatically by text message and email in case of disaster. This will dramatically decrease response time and the time it takes to get off-duty personnel notified. Putnam County has some 500 personnel associated with EMS, Fire, Police, and Rescue agencies. AM-FM Radio - The system will allow local radio stations to be interrupted with special emergency statements. 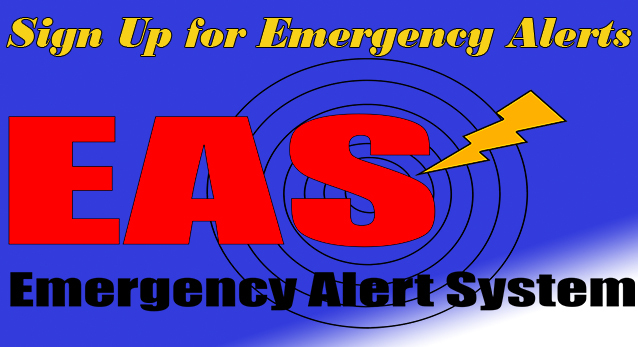 The system uses "EAS" (emergency alert system) technology already in use by the National Weather Service. One emergency message is created and transmitted to all radio stations at the same time. Persons traveling in and around Putnam County will be alerted to hazardous situations. This also allows descriptions of missing children and adults to be broadcast to the public to be on the lookout for these individuals. Channel 22 TV - is the only local TV station to be broadcast over regular UHF antenna. This allows residents to receive emergency messages over portable battery operated units during power outages. WCTE has generator backup for its transmitting facilities which allows broadcasting to continue during those power outages. The same "EAS" transmissions used for radio will also be used to break into local TV programming. Cable TV - Our system allows for local cable TV to be interrupted with voice alerts. No matter which channel a citizen may be viewing, the alert will override all programming to allow emergency messages to be heard. Charter Cable has worked with emergency officials for several years to provide emergency broadcasts. AM Transmitter - Putnam County has installed its own network of AM radio transmitters. These transmitters are located in Cookeville, Algood and Baxter. They allow the signal to cover Interstate 40, Hwy 111 and most of the major thoroughfares in these cities. The system broadcasts emergency messages to motorists traveling through the Cookeville area. Special alerts such as temporary road closures, weather warnings and emergency situations keep motorists abreast of emergencies in Putnam County. The transmitters broadcast on AM 1650. Outdoor Warning Sirens - Putnam County has several outdoor warning sirens that alert citizens of severe weather warnings or other emergency situations. Emergency Notification System - This enables us to notify residents by telephone of emergency situations. With this system, residents of a particular area can be notified by dialing each phone and playing a pre-recorded emergency message. The system allows for hundreds of calls to be made in a matter of minutes. Special Signs - at major intersections in Cookeville, Algood and Baxter we have installed flashing signs that alert motorists to tune to our local AM radio statioin (1650 KHz) for special emergency information. Putnam County 911 assigns all new addresses in Putnam County, as well as in Algood, Baxter and Monterey city. In the city of Cookeville, the Department of Planning and Codes assigns addresses. To apply for a new address in Putnam, Algood, Baxter, or Monterey, please call 931-646-4357 and ask for Penny Foister. To apply for a new address within the city limits of Cookeville, please call 931-520-5268. Please remember, you must have your construction stakes up showing where the house or mobile home will sit before you call for a new address. We try to assign the new address within 48 hours of the request. These regulations are intended to standardize the posting of house numbers in Putnam County. Per T.C.A. 7-86-127, Putnam County has the right to establish and enforce policies for the assignment and posting of house numbers. The Putnam County Commission passed these regulations in regular session on October 20, 1997. Every residence and business in Putnam County shall have a house number and street address assigned to it by the 911 District. The 911 District Board shall maintain a process for new constructions to be assigned an address. The number shall then be posted to meet the criteria below. Numbers must be at least 6 inches in height and must be orange or red in color. The numbers do not have to be purchased, they may be painted on at least a 1 foot by 3 foot board. The board may be attached to the temporary electrical service if it visible and within 50 feet of the road its addressed from. If the building is more than 150 feet from the road, and its temporary electrical service is more than 50 feet from the road, a stake or sign must be posted within 25 feet of the driveway. Numbers must be at least 6 inches in height and reflectorized. Numbers must be posted on the side of the house facing the road it is addressed from. Numbers mut be readable from the road, and free from obstructions. If the house is more than 150 feet from the road it is addressed from, numbers must be on the mailbox or a stake at the beginning of the driveway. Stakes must be 2-5 feet high, no more than 25 feet from driveway, and easily visible from the road it is addressed from. If posted on mailbox, numbers must be on both sides of it and the mailbox must be within 25 feet of driveway. If multiple houses are located on a private drive, they must have a stake at the beginning of the drive with all the house numbers posted on it, plus, there must be a house number posted on each house on the private drive. Subdivisions in Putnam County must meet stringent regulations provided by the Regional Planning Commission. New subdivisions must be reviewed and pre-addressed by Putnam County 911 before receiving final approval by the Planning Commission. This means that each subdivision lot already has a house number and street address assigned to it. We have compiled most of the subdivision plats recorded since 1991. Our database allows you to search by “Subdivision Name” and view a list of all lots in that subdivision and the individual address for each lot. These plats are also available in Adobe Acrobat files to be downloaded or printed. Please click on the link below to search our subdivision database. Corner lots on a plat may have two different addresses, depending on which way the house faces. Only one of these addresses will be ultimately used. Please call us to verify the correct address. These lot numbers will have “Call for Address” listed in the street address field. You may call 931-646-4357 and ask for Penny Foister to confirm a corner lot address. Putnam County 911 is proud to provide an online GIS mapping system. The system, created by True North Technologies of Murfreesboro, TN allows our GIS maps and data to be viewed through a normal web browser. 9-1-1 is for EMERGENCIES. Teach children examples of an emergency and explain that each emergency requires a telecommunicator's full attention. Time taken away from an emergency for a prank call to 9-1-1, or someone who calls just to see what 9-1-1 sounds like can mean a delay in emergency responders arriving at the scene of true emergencies. Make sure children understand that we are here to help. Take care not to scare children about 9-1-1, simply help them understand that the 9-1-1 system is only for emergencies. When you teach a child to call 9-1-1, many times they will get confused and think the number is "9-9-1", so it is extremely important to have your child repeat the emergency number ensuring that 9-1-1 is clearly understood. It is good idea to practice all of the 9-1-1 steps regularly with your child. Name - so that the telecommunicator can call the child by name, which reassures children in a crisis. Address - It is important to know where to send help to in an emergency, and the address of the emergency is key. In events where children do not know the address of a business or church, teach them the name of places they visit frequently. Phone Number - Some emergencies require telecommunicators to call back and ask questions or help guide responders to the scene. In these situations, children should confirm the phone number where they can be called back. *Caregivers should make sure every phone has the appropriate phone number displayed on it in places children frequently visit. What Happened - If the 9-1-1 telecommunicator does not know the nature of the emergency, then they will not know who to send. This can delay adequate resources reaching a critical scene and affect the outcome of such incidents. *Teach children never to hang up until they have been told to hang up by the 9-1-1 telecommunicator. Is your address clearly posted where emergency responders can find you in the middle of the night or in a thunderstorm? Post your address numbers in numbers at least 6" in height. They should be posted on both sides of your mailbox, and on your home. Post numbers on your home on the side of the building which faces the road it is addressed to. This helps responders know they are at the right location. Make numbers reflective. It is very important that responders can see the numbers on your home in darkness. By use of headlights and spotlights responders can illuminate reflective numbers just like it is daylight! If your home sits back off the main roadway, post your numbers on a stake or post at the entrance to your driveway. If there are multiple homes on a single driveway make sure each home is clearly marked from the driveway as well. If you have the option of calling from a home (landline phone) or a cellular phone, use a landline phone when possible. This routes the important number and address information directly to the 9-1-1 center, where cellular phones are not able to give exact addresses. This is especially useful in populated areas and in apartment buildings or a business complex. Often, business owners do not think about posting their address. In Putnam County it is a regulation that businesses post their address. Business owners should be aware that every customer that visits their business means a potential for a life-threatening emergency to occur in their business. Proper address posting can mean the difference between someone's life being saved or lost. Business owners should consider that if there are multiple entrances to their building, each entrance should be marked plainly on the outside of the door with a logo or business name, as well as a specific door number to allow responders to easily identify the closest entrance to the emergency. Putnam County 9-1-1 will be happy to visit your business and walk with you through the steps of making your workplace a safer place for everyone who works in or visits your business. We will take the time to make sure you understand what steps you can take to help better protect yourself, and your patrons. Please feel free to call our Public Safety Office at 931-525-2110 to set up a time that is convenient for you to meet, with minimal interruption to your business. The Putnam County 911 system provides the opportunity for special a "Life Safety Note" to be assigned to a 9-1-1 caller's landline telephone. These notes will appear anytime 9-1-1 is called from the number, and can alert emergency responders to special circumstances which could protect a life. Examples of a "Life Safety Note:"
Persons with medical history or handicap that would make them unable to escape a fire or criminal assault. Elderly or handicapped persons living alone that would list an emergency contact number for a caregiver in the event of an emergency. Information about a hidden key for family or emergency responders to gain access to elderly or handicapped citizens. Children with special needs who will require special ambulance equipment or personnel. Businesses which store hazardous materials. ** Please note that this information is not available to the public, and is only accessible to authorized emergency communicators in the event 9-1-1 is dialed from the specified telephone number. Putnam County 911 would love to send an educator to your next school, church, or public event. We offer programs for children, teens, adults, and seniors. We can also customize a program especially for your group. 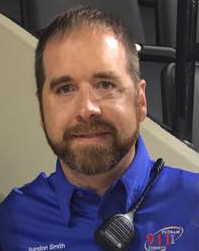 To schedule an educator to visit your event, or to schedule a business safety visit contact our Special Services admininstrator, Brandon Smith, bsmith@putnamcountytn.gov or by phone at (931) 525-2110. Putnam County 911 serves as the Upper Cumberland Regional Medical Communications Center. This is a central point of contact, and a conduit for information flow, among all Upper Cumberland emergency medical services, hospitals, air medical helicopters, and the State Department of Health. As the RMCC, our assigned task is to effectively coordinate major medical resources during planning/preparation, response, and recovery from a mass-casualty incident or disaster in the Upper Cumberland area. We work closely with the TN Department of Health and the Upper Cumberland Healthcare Coalition, the Upper Cumberland EMS Director's Assosciation, and the Upper Cumberland 911 Director's Associtaion, to facilitate discussions centered around emergency medical preparedness, and mass fatality planning. The RMCC function is embedded into our daily workflow, and includes opening communications between ambulances and hospitals, between or among multiple hospitals, and relaying information to local, regional, or state stakeholders. Vasquez, who was headed into the store to shop, was walking through the parking lot when he was first notified. "I was walking in and my phone started making noise. It was PulsePoint telling me that CPR was needed nearby, in the Wal-Mart Pharmacy,” Vasquez remembered. As Vasquez, a Putnam County Fire Department volunteer firefighter hurried to the Pharmacy side of the store, he saw the commotion. "I went over and could hear his wife screaming that he was having a heart attack. I got down on the floor and started talking to him while I checked his breathing and pulse. He was unconscious but tried to squeeze my hand at first," Vasquez continued. 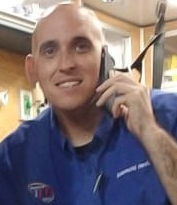 The Texas man was cared for by Putnam County EMS and Cookeville Fire Department paramedics on the scene, where they regained a pulse after shocking him with the ambulance's defibrillator. What responders didn't know at the time was that the man was headed to East Tennessee to go camping with his wife and had been complaining of chest pain off and on throughout the day. He was transported to Cookeville Regional Medical Center, where he was treated and had 2 stints placed to correct the blockages in his heart. PulsePoint is a 501(c)(3) non-profit foundation based in the San Francisco Bay Area. Through the use of location-aware mobile devices, PulsePoint is building applications that work with local public safety agencies to improve communications with citizens and off-duty personnel, empowering them to help reduce the millions of annual deaths from sudden cardiac arrest. Learn more at www.PulsePoint.org or follow us at Facebook and Twitter. The free app is available for download on iTunes and Google Play. Putnam County 911 is dedicated to keeping our public and stakeholders informed of events happening in, and near, Putnam County. The Special Services Division of Putnam County 911 encorporates the functions of public education, public information, media relations, special event planning, and the County's Emergency Alert System.